I saw this program, a contemporary triple bill with works by Stephen Baynes, Alice Topp and Tim Harbour, last year, 2018, in Melbourne. My review is at this link. This time my thoughts remain basically the same. I liked or disliked each of the works for the same reasons as before, although in most cases the casting was different and Aurum probably didn’t have the power I felt it had at the performance I saw in 2018. With regard to casting, I saw Ako Kondo and Andrew Killian in the leading roles in Baynes’ Constant Variants both times, and both times they handled themselves with the aplomb and expertise we have come to expect from these two principal dancers. But on this second viewing I especially enjoyed Yuumi Yamada with her beautiful smile and joyous execution of the steps, and an equally inspiring Lucien Xu. I was also transfixed by the dancing of Joseph Romancewicz, as I was when I noticed him in small parts in The Merry Widow and Spartacus. On this occasion Romancewicz had a role in Topp’s Aurum and, with fewer people on the stage this time compared with those previous occasions, it was easier to see some of what I admire. Mostly it is that power to engage with those around him—this time with his partner in a group section of about eight dancers (if I remember rightly). Not once did he move without thinking and showing that he was dancing with someone. But I also noticed more clearly this time that he moves with beautiful fluidity throughout his whole body. 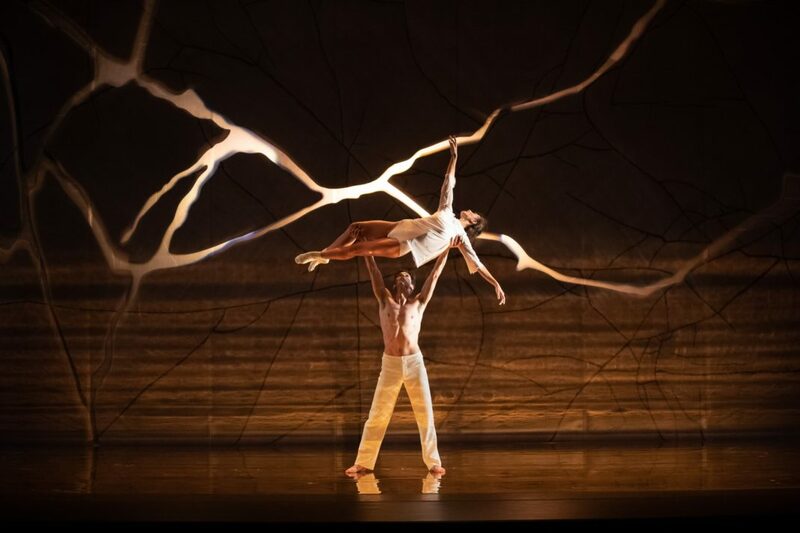 It was also a pleasure to see Dimity Azoury in the final movement of Aurum, which she danced with Andrew Killian. The standout dancer for me in Harbour’s Filigree and Shadow was Marcus Morelli. I always enjoy the enthusiasm with which he takes on every role and the way he injects such a strong personal note into those roles. But I guess what interested me particularly this time was the shape of movement throughout. Baynes’ use of classical movement showed how expansive and diverse the classical vocabulary is. It allows all the spectacular qualities that we see in contemporary vocabulary but as well brings to the surface a fluidity, a smoothness, and something that is filled with curving, as well as straight lines. The body is the medium. Topp and Harbour seemed to want more than anything to make shapes, new shapes that we haven’t seen anywhere else before. Often they were spectacular shapes, particularly hard-edged in Harbour’s case. But while some were interesting, others seemed as though the choreographer was trying too hard to be different, and even at times trying to put a step to every note of music. The body is not so much the medium but the show place for shapes. Constant Variants remains the work I want to come back to again and again. Verve is, nevertheless, a wonderful program that gives us much to think about.